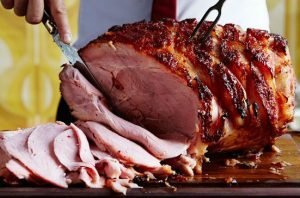 Have you ever wonder how to cook that stunning but rather difficult to cook looking glazed ham would be like? Well we have, and contrary to what you may think –it happens to be quite easy! This year we encourage you to get out of your comfort zone and dare yourself to cook a delicious and fantastic looking glazed ham; and at the same time wow your family and friends for the Holidays. 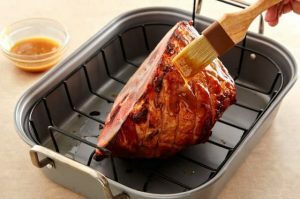 Enough of that delicious turkey you already master throughout the years, is time to make something different and a delicious glazed ham will certainly do the trick. Now first thing to know, glazed ham is time consuming so you’ll need to be patient to see the final result. Score the ham creating diagonal lines, before putting it into the oven. Place the scored ham in a large roasting pan with the cut side facing down. 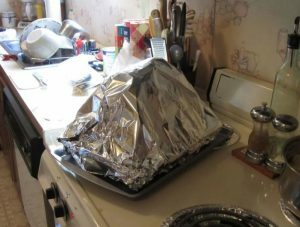 Cover with aluminum foil and bake at 300°F for 1 1/2 hours. 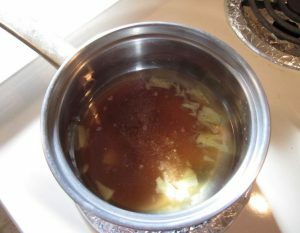 While the ham is cooking, whisk the glaze ingredients together: brown sugar, apricot jam, Dijon mustard, and black pepper. Here is where you can get creative and use your favorite jam, chutney, honey, or mustard. Once the ham has cooked for 1 1/2 hours, take it out and brush on a hefty coat of this sweet and tangy glaze. Add 1/2 cup of water to the pan. Bake uncovered until the internal temperature of the ham is 140ºF. Continue brushing with glaze every 30 minutes until the ham is cooked all the way through. 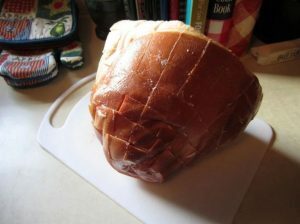 When the ham is hot enough, take it out of the oven and let it rest for 20 minutes before carving. Then carve and serve using a carving knife and fork.